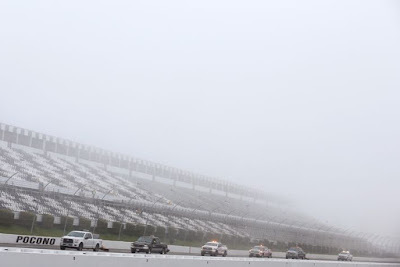 Day-long rain and mist at Pocono Raceway has forced NASCAR to postpone the Sprint Cup Series race scheduled for Sunday afternoon. 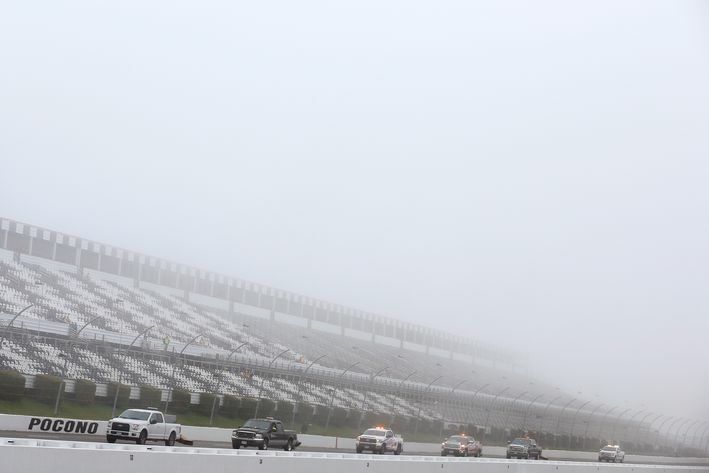 The ‘Axalta 400’ is rescheduled for Monday and will be run at 11 p.m. (ET). It will still air on Fox Sports 1 and is the first Monday race in more than two years. A valid ticket for Sunday, July 31, 2016 at Pocono Raceway will be honored and scanned for entry. Tickets available for purchase at Gate 8 Ticket Booth starting at 8 a.m.
Lots must be cleared by midnight tonight or subject to being towed off property. Vehicles will not be permitted to stay overnight in any location, with exception to current Camping and RV Guests. Permitted to stay during the race, but will not be allowed to stay overnight on Monday, August 1.